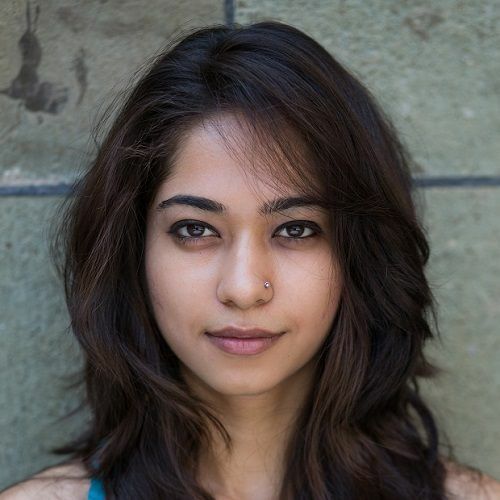 11 Comfy *Desi* Pants That Are SO Much Better Than Your Denims! While skinny jeans might be our go-to option every time we can’t decide what to wear, they’re also not the most comfortable piece of clothing. When we think of a comfortable pair of bottoms, we think of salwars, or something that’s loose and hence, can’t look formal enough. 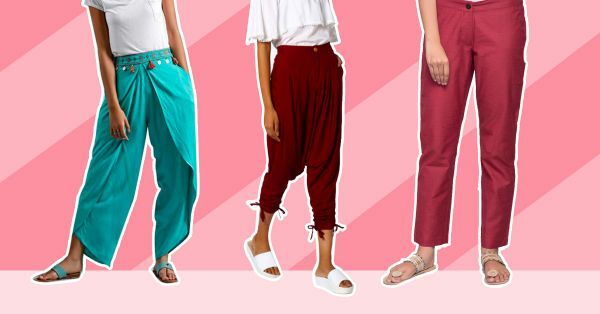 But here are 11 desi and comfortable pants that you can totally wear to work or college! It’s time to swap your skinny jeans with a pair of easy breezy dhoti pants! This turquoise dhoti has an embellished belt and embroidery that makes it worth investing in. Wear it with a tucked in tee for a fail-safe fusion wear look. If you thought culottes could only be worn for formal occasions, you’ve got to check out these printed culottes! Wear these pants with a plain cold shoulder top when all you want is a comfortable outfit. Warm weather months call for pants that are easy and comfortable, just like these tulip pants! They’re a great alternative to body hugging jeans for daily wear and will go well with all the short tops you own! Aren’t these pleated pants so unique? If you love experimenting with your style and want to try something new, these pants should be it! Wear these with an off shoulder top and tuck it in for a structured look. Looks are deceptive, friends. These pants might look like a maxi skirt, but they’re actually a pair of printed palazzos with an overlapping front! This printed beauty has to make it to your lust it, ladies! Because Monday blues are a real thing and you shouldn’t shy away from wearing your mood, you need to give these cotton harems a chance! The comfortable style already makes us want to try them on! When it’s ‘that time of the month’ you need a pair of slightly dark coloured pants to stay comfortable through the day. Don’t you think these cotton silk pants are just perfect for the same? Comfortable and stylish, these rust coloured trousers exude a chic vibe. When you want to ditch your denims, trust these trousers to complement your white shirt! A pair of trousers that aren’t body hugging are on every girl’s wish list. You can pair these orange parallel trousers with a kurti, t-shirt or a tank top and style them for any occasion! These embroidered palazzos are a must have in every desi girl’s closet! You can dress them up or dress them down by wearing a heavy kurta or a tunic top. What are you waiting for? Grab these now! We all need a pair of trousers that we can wear all day! These uber comfy yellow trousers are the perfect pick for such a purpose. Pair them with a classic white shirt and you can totally pull them off to work as well.